At this point, hearing any news or rumors about an adaptation of Stephen King’s epic fantasy-western saga The Dark Tower is a little like rubbing salt in an open wound for fans. This has been going on for years, taken any number of forms, and yet somehow never seem to go anywhere. Every time you get your hopes up, they get dashed like a wayward ship against an unseen rock outcropping. Still, the fact that we keep hearing about hopefully means that one day, somehow, it will actually all come together. 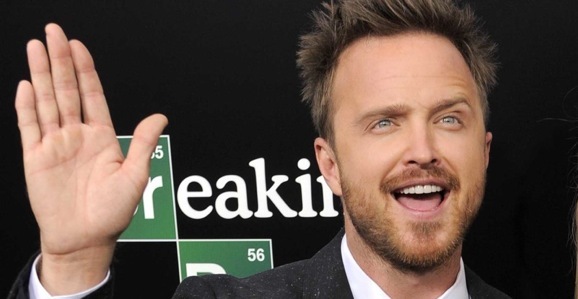 And the latest reports indicate that a couple of badass actors—Liam Neeson and Aaron Paul—are interested in climbing aboard this particular project, and that it could come to pass sooner rather than later. The Paul news hit first. At Sundance, Ain’t It Cool News caught up with the Breaking Bad star, there promoting something not nearly as awesome as a Dark Tower adaptation, and managed to walk away with some a few tantalizing bits of information. First off, Paul notes that he’s a huge fan of the books. The most important part, however, is what he said next. I’ve had a ton of meetings on that. I just had a general sit down with Ron Howard, who is a huge fan of the show, which is such a crazy thing to even think that Ron Howard even knows who I am. They’re definitely planning on making it. Wouldn’t it be awesome if Ron Howard knew who you are? It wouldn’t really do much for most of our daily lives, but as an actor, that’s not bad fan to have. This is good news for a number of reasons. It sounds like, even with all of the hardships, like studios backing out and actors jumping ship, Howard still intends to get this thing done. If he’s had meetings with Paul, or with anyone for that matter, it means there’s at least some hint, some idea of movement on the project, and that it isn’t totally dead in the water. There’s no word on who Paul might play, if this actually happens, but the report theorizes that he would be perfect for the character of Eddie Dean, a drug addict who shows up in the second book, The Drawing of the Three. Over the years, The Dark Tower adaptation has taken a variety of shapes. It’s been envisioned as a movie, a series of movies, an episodic television show, and damn near everything in between. From what Paul had to say, it sounds like Howard still plans to stick with the most recent imagined incarnation, a trilogy of films with a side order of TV. The next bit of Dark Tower comes from the folks at Schmoes Know, and is equally as exciting. When asked about the project, their source, not only confirmed that there’s a TV piece of the puzzle, but that it could wind up on Netflix, so we can marathon it all in one massive chunk. He also indicated that this could be the next big project for Howard and his Imagine Entertainment. Again, that makes sense that this could happen soon, especially if Howard has been meeting with potential actors. On its own, that sentence doesn’t tell you much. How serious is “interested?” That can mean a lot of things. There’s also no word on what character he’s interested in. Most of us are going to assume that if he’s up for any part, it has to be the protagonist of the whole chronicle, Roland Deschain, which actually sounds like a marvelous idea to me. Thus far, the role has had a variety of big name stars attached to it, including the likes of Russell Crowe and Javier Bardem. While those two have their charms, Neeson can definitely pull off a fantastic grizzled gunslinger wandering a magical landscape, searching for the nexus of all universes. This is a ton of information to take in, but once you wrap your brain around it, let us know what you think. Do you like the idea of a Ron Howard-directed trilogy supplemented by a TV show? What about the inclusion of Paul and Neeson in the cast? Sound off in the comments. 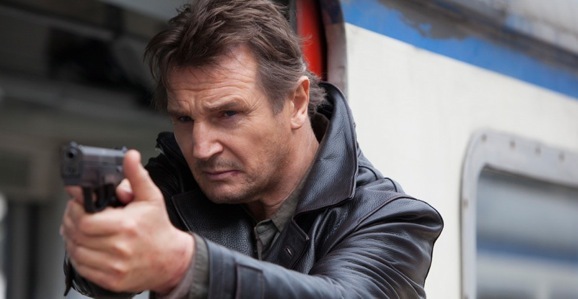 Neeson could work as Father Callahan, Steven, Cort, or Flagg. I just can’t see him as Roland. Jeffrey Dean Morgan, Garret Dillahunt, William Fichtner, or Javier Bardem would be the best choices for Roland. While I think Neeson could play cort or Roland’s father Steven, Timothy Olyphant would be an excellent choice as Roland. If he’s free from filming justified.